Had you told this blogger a simple detour on the way home would lead him on journey starting with old world immigrants and Eastern Orthodox religion and wind up exploring the themes expressed in Poison’s debut Look What the Cat Dragged In, well, in the words of C.C. DeVille, Rikki Rockett, and the gang, he’d have told you to cry tough. Such is this journey we call Orbit. Frankly, little Lyndora didn’t even exist on The Orbit‘s mental map of the region. As it turns out though, the town–thirty miles north and basically a next-door adjunct to more name-brand Butler–is quite the destination for the onion dome-obsessed. Lyndora is a classic industry town, host to the AK Steel plant which occupies a tremendous amount of Connoquenessing Creekside acreage and continues to belch enough white smoke to tell us it’s still very much in operation. Steel-making aside, Lyndora’s primary claim-to-fame seems to be the birthplace of Bret Michaels (née Bret Michael Sychak) of ’80s glam/hair metal band Poison. 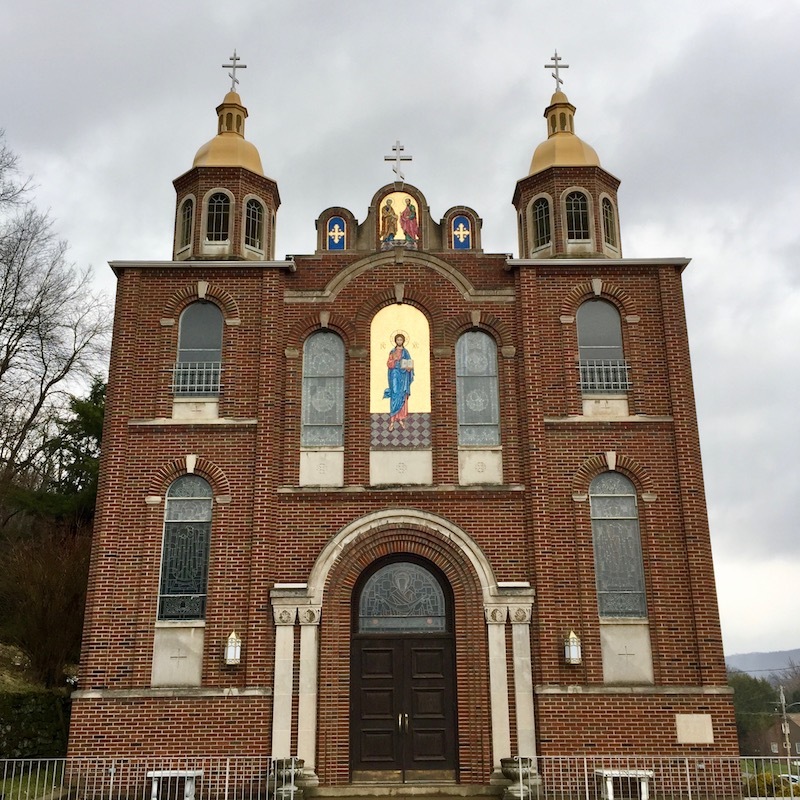 That’s all well and good, but we’d like to nominate it for its fine collection of old-school/high-style orthodox churches–all of which can be easily navigated in a fine little constitutional around the borough. 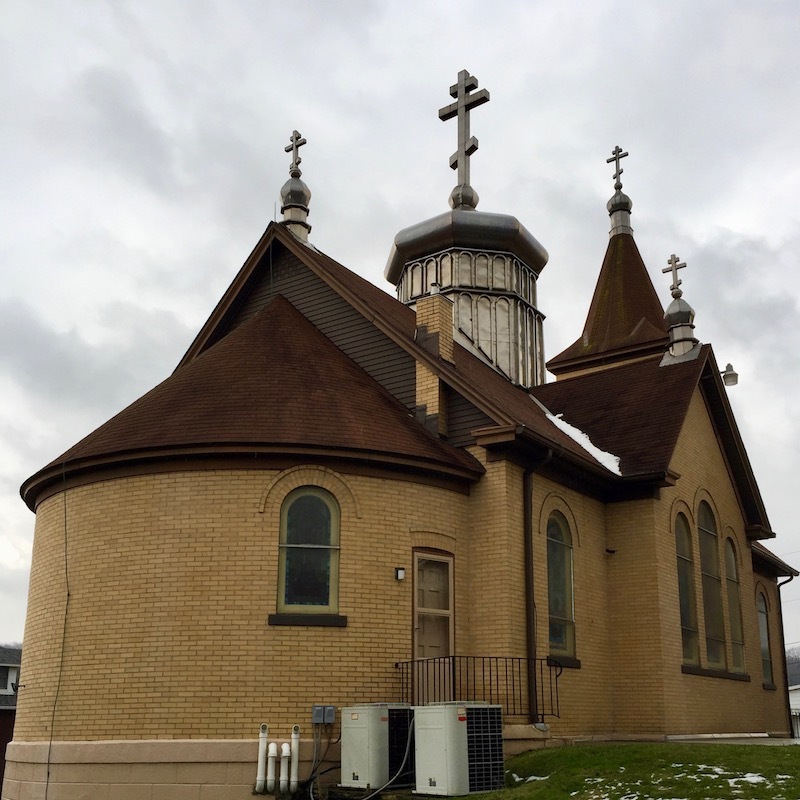 St. Andrew Russian Orthodox Greek Catholic church, Penn Ave.
St. Michael the Arcangel Ukrainian Catholic Church, Hansen Ave.
We were actually headed home from points north when Lyndora’s four-pack of tell-tale gleaming ornaments gave themselves away–or perhaps, yelled for attention. The silver globes reach into the sky and beckon the wobegone traveler to re-route him- or herself off Highway 8 and up into the town’s inviting hillside clutches. Come to us they seem to whisper, a secret awaits. Obey their trance-inducing powers we did. 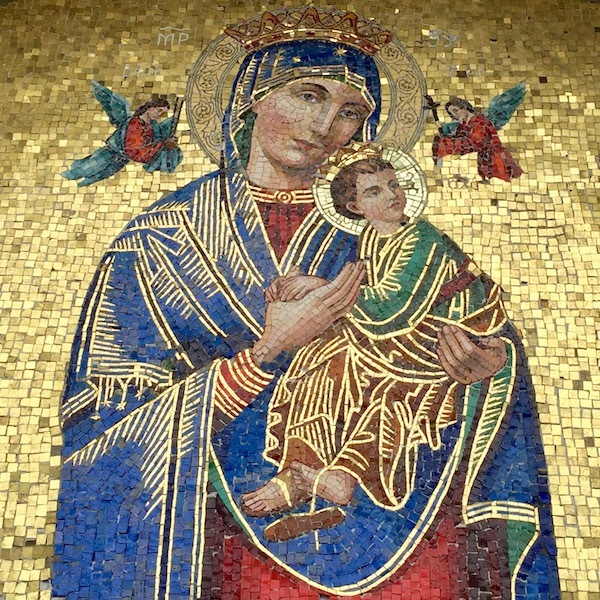 While every rose may indeed have its thorn, it’s safe to say not every town of 6,000 has four glorious orthodox Catholic churches–two of them (St. Michael the Arcangel and Saints Peter & Paul) are enormous Ukrainian Catholic churches, which tells us a fair amount about the Big Steel-era immigrants who first populated this particular borough. 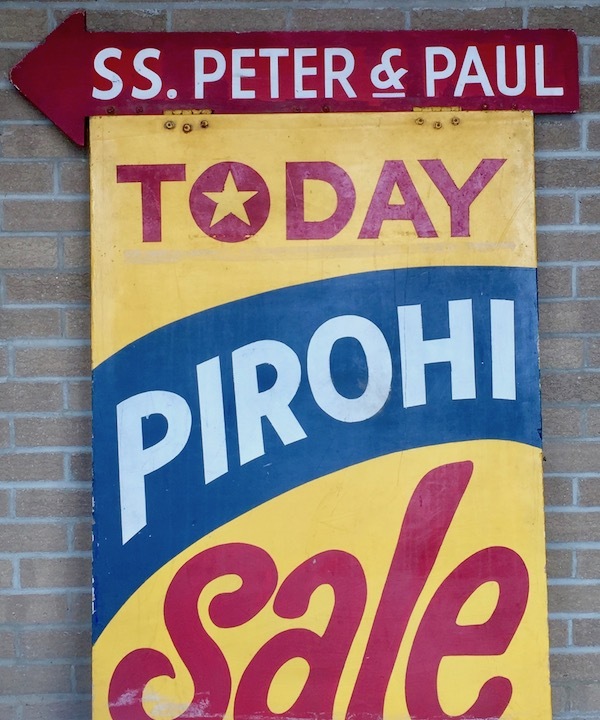 Sadly, Peter & Paul’s pirohi sale was not happening the day we visited [it appears to be every other Friday, 8-4–but not sure on that one]. 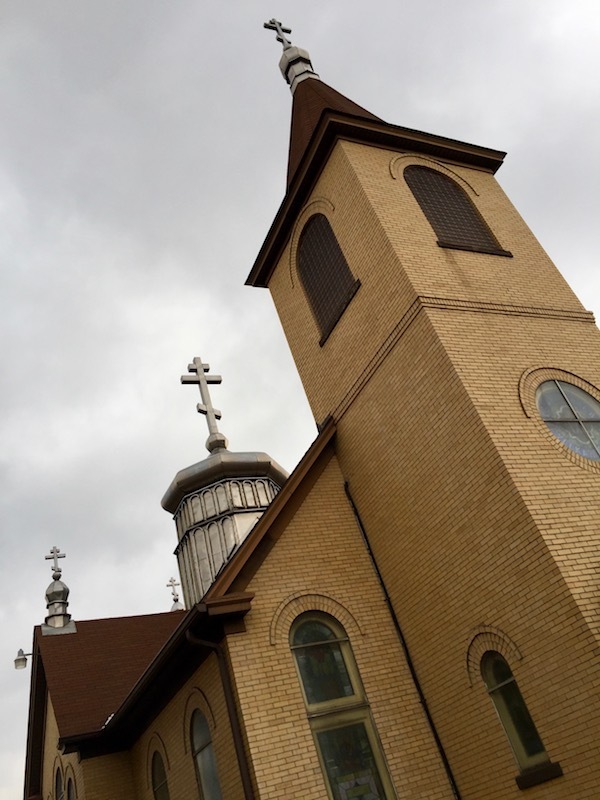 St. Andrew Orthodox Church, Penn Ave.
Was Bret Sychak one of us? 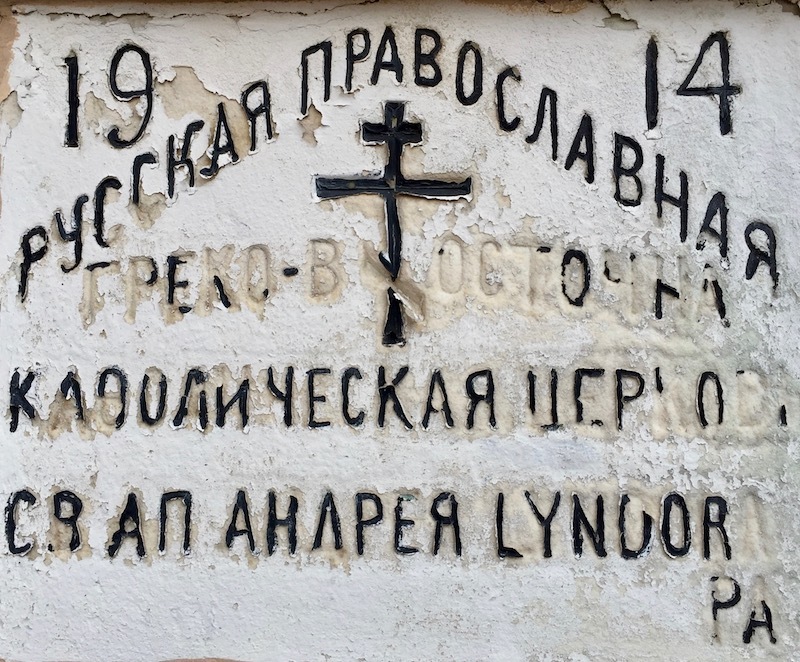 [Carpatho-Rusyns] It took a little digging, but I discovered that his great-grandfather, Vasil Sychak (spelled a frustrating number of ways) claimed in his naturalization record to have arrived in New York in July 1905. Vasil’s wife to be, Anna Daňo, had arrived in Baltimore the month before, and by September of the following year, they had met and married in McKees Rocks, Pennsylvania, not far from Pittsburgh. A quick inspection of his passenger arrival record revealed that he was actually a bird of passage–a term used for those who came to America several times. These were generally men who didn’t really intend to stay here, but instead planned to come, work and go back home to live comfortably as the richest fellow in the village. Vasil had first arrived in 1899, meaning that he was about 16-17 the first time he made the journey. This was a common age for Rusyn immigrants since many of them were seeking not only to escape poverty, but also to avoid the draft. If there was any doubt that Vasil was Rusyn, a number of documents pertaining to his life list him as Ruthenian or Russniak, both alternative terms used for this ethnic group. He and his wife also attended a Greek Catholic Church–one of the telltale signs of a Rusyn–and were born in Habura and Kalinov, respectively. Both are in Slovakia less than 15 miles from the town that claims Andy Warhol. 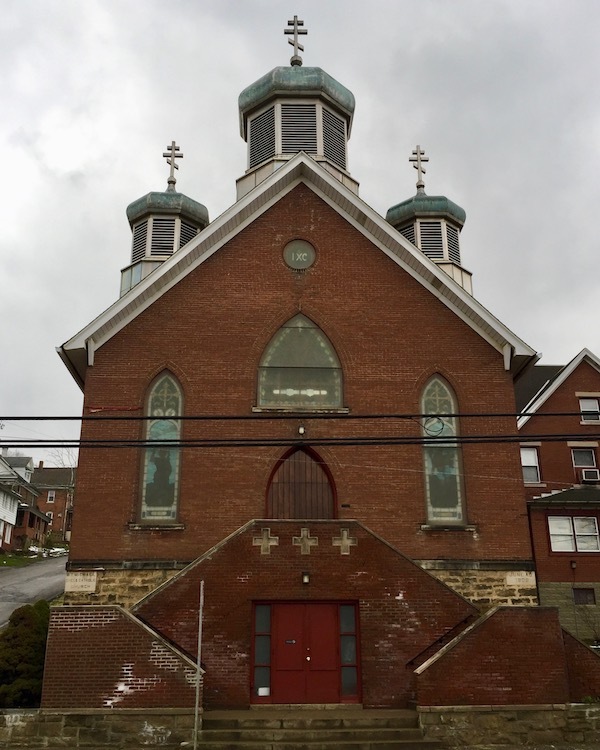 The “Greek Catholic Church” Smolenyak mentions is undoubtably St. Andrew’s on Penn Avenue. 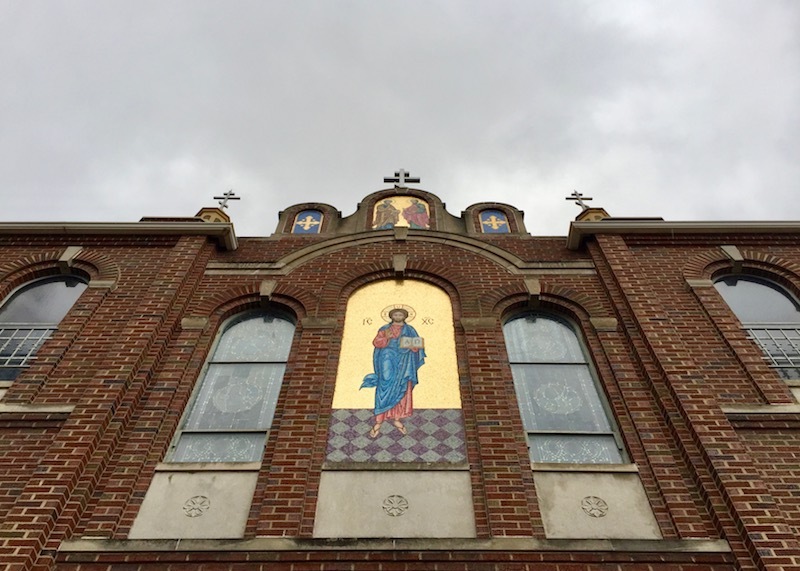 Its cornerstone reveals it as formerly “Russian Orthodox/Greek Catholic”. The handsome octagonal silver tri-crossed cupola was the first thing we spotted from the highway across the creek. Open up and say…paska! 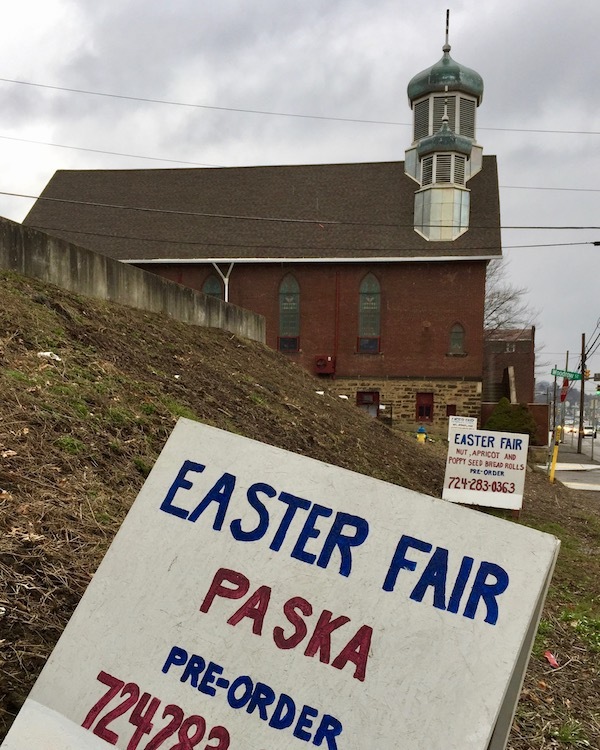 St. Michael the Arcangel’s Easter Fair is coming up April 7-9. 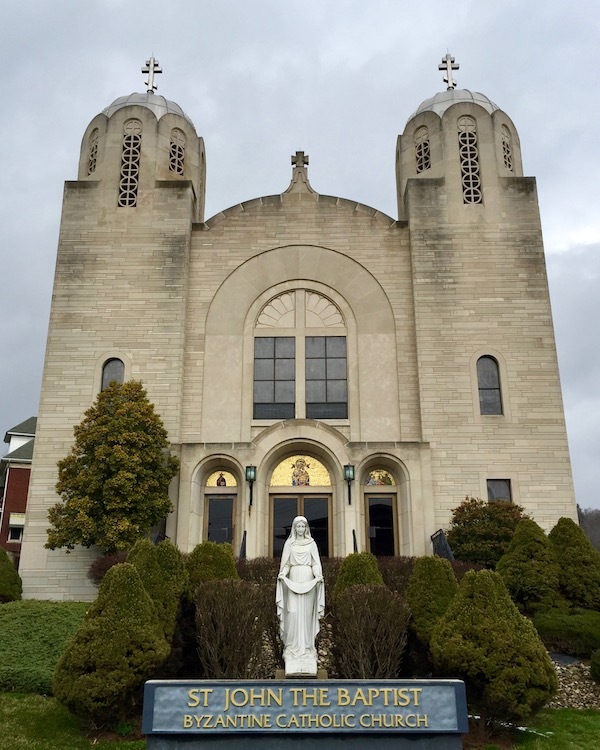 The very end of winter: a gloomy day, cold drizzle, deserted streets, no one home to let a loitering blogger poke around the icons, candles, and gold-leaf relics. And yet what a privilege to have these beautiful bits of tangible near-history ours for the poking, available on-demand as leg-stretching scenery and lazy drive ponderables. As Bret Sychak [we really wish he hadn’t felt the need to Anglicize his name] would remind us back in 1988–and I’m pretty sure he was talking about Peter & Paul’s pirohi–don’t need nothin’ but a good time, how can I resist? Getting there: Lyndora is straight up Route 8 from Pittsburgh. It takes about 50 minutes to get there. Butler (right next door) amazingly has two brew-pubs and is also well worth a poke-around. For the record, these are (according to Wikipedia): ambition, lust, sexual frustration, love lost, and anti-social behavior. Whether every cowboy sings his sad, sad song is not confirmed. “Bret Michaels: The Rusyn Roots of the Rock of Love”, Megan Smolenyak, Huffington Post, May 21, 2010.